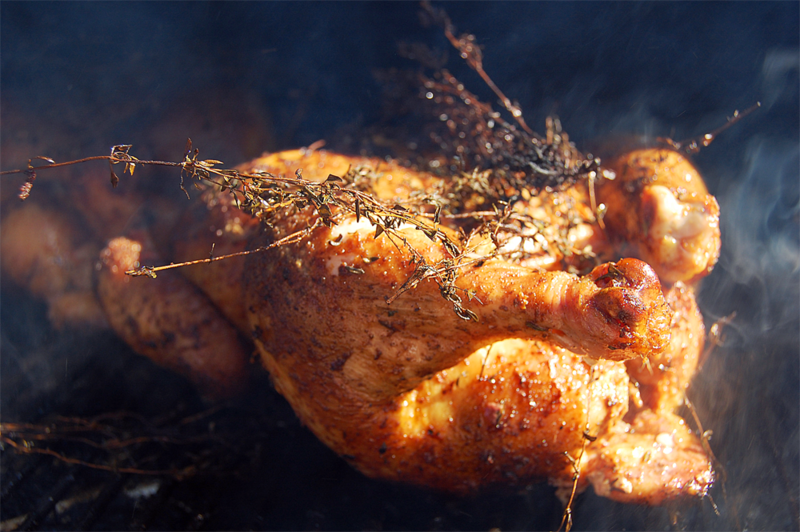 From the Kitchen: Smoked Chicken - Stahancyk, Kent & Hook P.C. 1. Split the lemon and squeeze one half over each chicken. Stick the lemon halves into each cavity. 2. Combine the onion powder, ground cumin, paprika, salt and pepper in a bowl with a whisk. 3. Take the seasoning rub you’ve just created and spread it evenly over both chickens. 4. Tie off each chicken with butcher twine. 5. Allow the chickens to remain out for 1 hour.